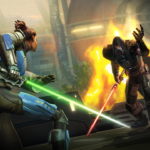 The Old Republic is Coming to Comic-Con! Yesterday Lisa wrote about Course of the Force, an Olympic torch style relay run with lightsabers, where participants will make a journey from Santa Monica to San Diego while benefiting the Make-A-Wish Foundation. The vent is leading up to San Diego Comic Con that starts later this week. 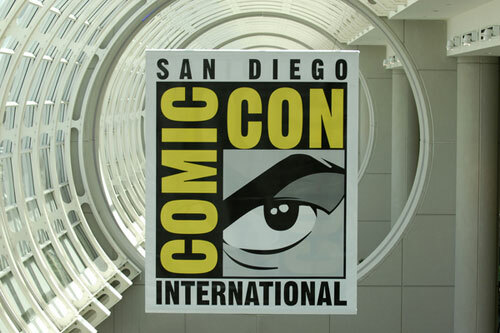 San Diego Comic-Con, the single largest pop culture event in North America, is only a week away! With hundreds of thousands of passionate comic book, movie, and video game fans converging on the San Diego Convention Center, BioWare and LucasArts will be there to represent Star Wars™: The Old Republic™ in a big way! Throughout the four-day show, attendees will be able to come by the Star Wars: The Old Republic booth located inside the Star Wars™ Pavilion (booth #2913). Throughout Comic-Con, people who visit us on the show floor will be able to explore each of the class Origin Worlds, grab some amazing prizes, and spend some time with members of the BioWare team. But the excitement will begin before the doors to the show ever open, with the four-day Course of the Force relay! 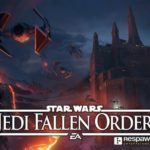 BioWare and LucasArts are proud to announce that Star Wars: The Old Republic will be sponsoring the final leg of Course of the Force. 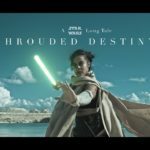 Being held from Saturday, July 7th until Wednesday, July 11th, Course of the Force is an Olympic-style relay which will see dozens of participants carry a ceremonial Lightsaber from the famed Santa Monica Pier, down the California coast until it arrives at the Balboa Theatre in San Diego! Join us during the final leg of the relay on Wednesday, July 11th as Star Wars: The Old Republic takes over the main stage! As the Lightsaber makes its way to the San Diego Convention Center, Course of the Force co-hosts Chris Hardwick and Ashley Eckstein will be premiering an exclusive look at Star Wars: The Old Republic that you won’t be able to see anywhere else! 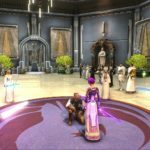 And don’t forget to cheer on the members of The Old Republic™ team as they help carry the Lightsaber relay to its final resting place at the Balboa Theatre. 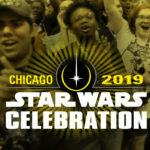 All proceeds from the event will go to benefit the Make-A-Wish Foundation, and you can watch a live broadcast of the event atwww.StarWars.com! On Sunday, July 15th at 11:45am, join us in Room #6BCF for the “Meet the Companions of Star Wars: The Old Republic” panel! During the panel, the BioWare team as well as several notable voice actors from the game will be answering questions from the audience, giving out swag, and premiering a brand new video! 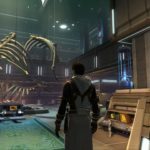 The BioWare Base is returning to San Diego Comic-Con, and to the Hilton Gaslamp Quarter Hotel! 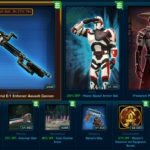 Inside the BioWare Base, we’ll be holding a special Star Wars: The Old Republic Insider Event on Thursday, July 12th for select fans of the game. These lucky few will be able to meet fellow fans, talk with members of the Star Wars: The Old Republic team, take part in Q&As, get awesome giveaways, and more. Don’t forget to pick up your VIP badge from our booth inside the Star Wars Pavilion for preferred access to the Insider Events at the BioWare Base! If you aren’t able to join us in San Diego, be sure to check our live updates from the show floor by following us on Twitter, and liking ourFacebook page. 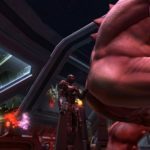 You can also visit our Events page to see what other events The Old Republic will be attending! 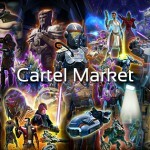 SWTOR on Sale until the 10th- Great Time to Join!